So Steve. A, Flatland Josh, Blachura, Bob German, and myself headed out for a late night street session in Middletown. The session started with Steve and I sessioning an old loveseat from my living room that broke and was dumpster bound. It was pretty amusing! 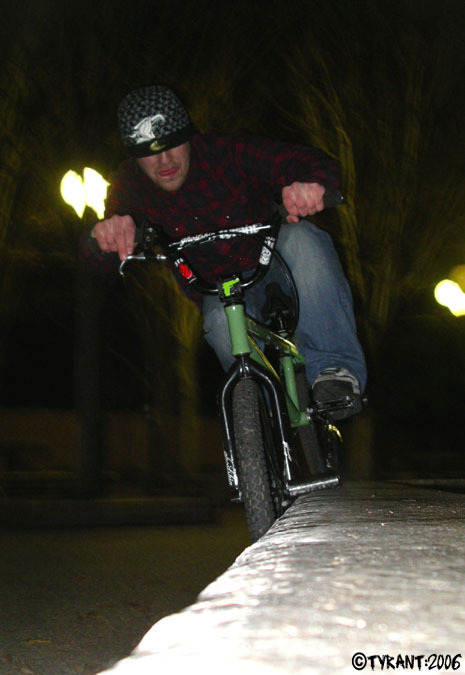 It was great to see Josh out riding and linking some great tricks. As usual it was a really fun session and we rode all over town. Thanks to Steve A. for manning my digital camera and video camera for most of the night after he hurt his leg early on in the session. Check out the photos at TYRANT's Flickr. The Sunday night crew. Where is Matt Lolli and Dean Whipple?